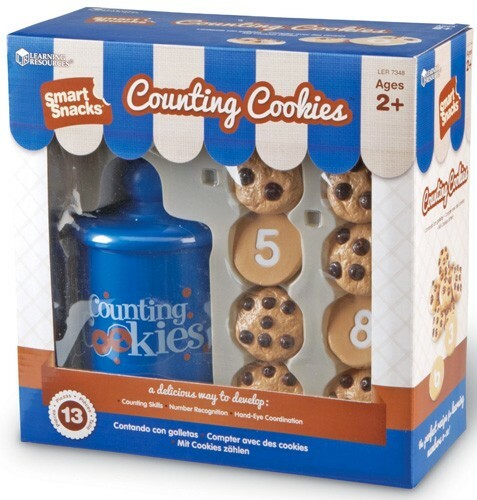 Enjoy a sweet treat while learning to count with the Counting Cookies set from Learning Resources! 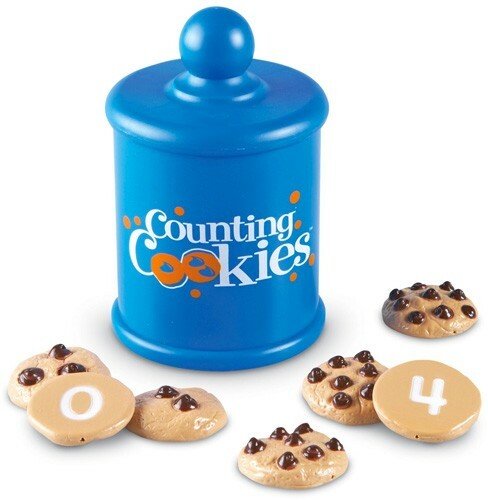 The set includes ten 2-inch cookies with numbers 1 to 10 on the bottom and the corresponding number of counting chips on the top. The cookies are made of soft plastic, and the set includes a sturdy plastic cookie jar.